The movie Captain Planet: trailer, clips, photos, soundtrack, news and much more! The live-action movie adaptation of Captain Planet, the 1990’s animated TV series, is closer to make it to the big screen: Sony Pictures is indeed joining the project. Don Murphy (Producer of Transformers Dark of the Moon), Mark Gordon, and Susan Montford are producing the film. “Five teens from around the world — North America, Africa, Eastern Europe, Asia and South America — are given powers by Gaia, the earth spirit, in order to protect the planet from the devastation of polluters and battle the world’s worst eco-villain. Let’s hope the movie adaptation won’t as cheesy and naive as the animated TV series. 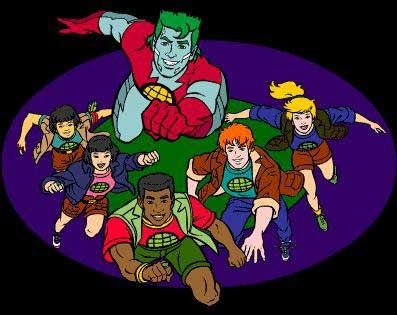 Anyway, stay tuned with us for more details about Captain Planet.